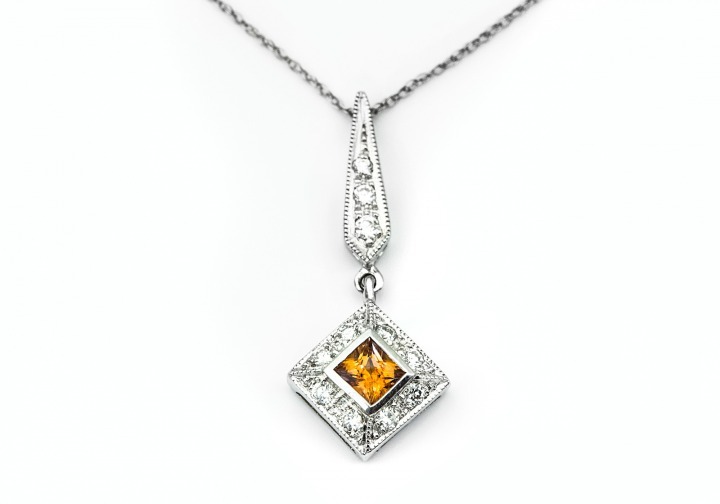 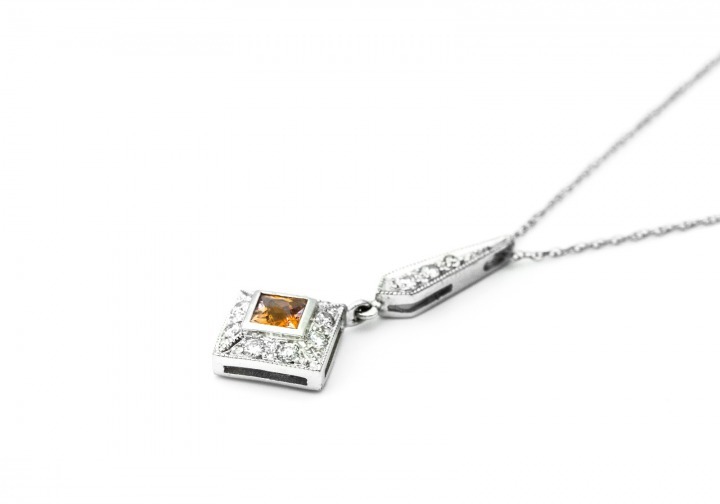 A delicate pendant featuring an orange princess cut Fancy Montana Sapphire, accented with Diamonds. Center StoneFancy Montana SapphireWeight0.30ctAccent StoneDiamondsWeight0.18ctwChain not included. 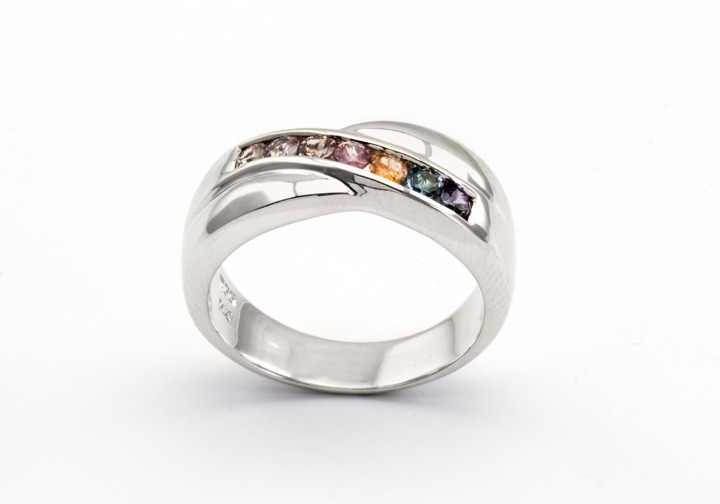 This 14K white gold ring features an assortment of different color Fancy Montana Sapphires.